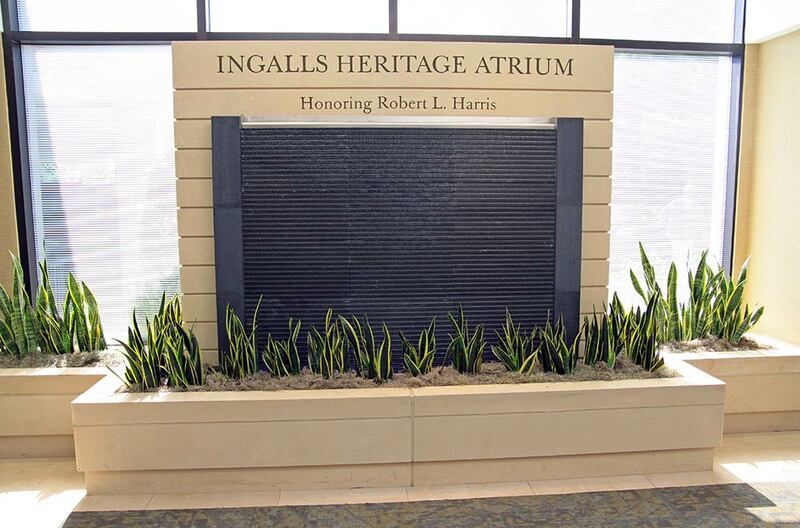 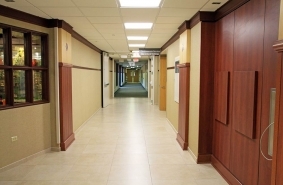 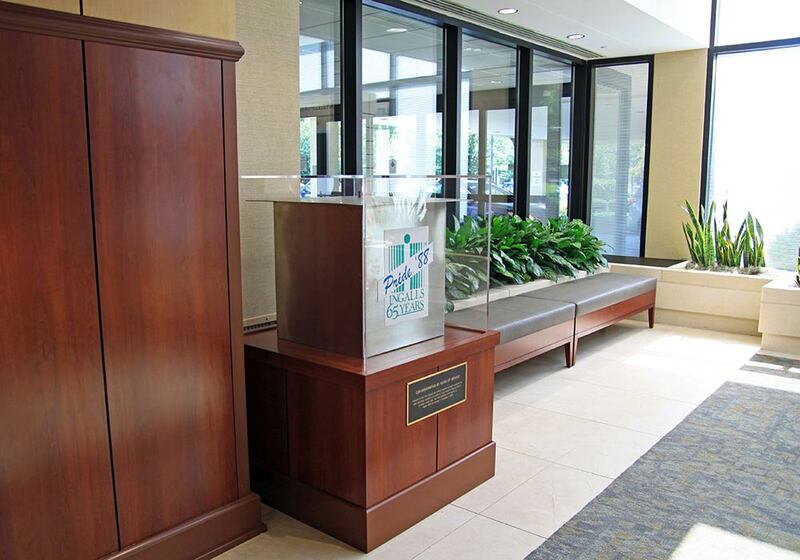 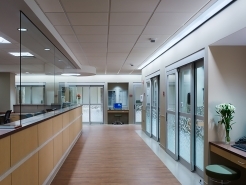 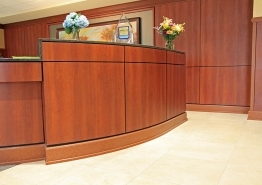 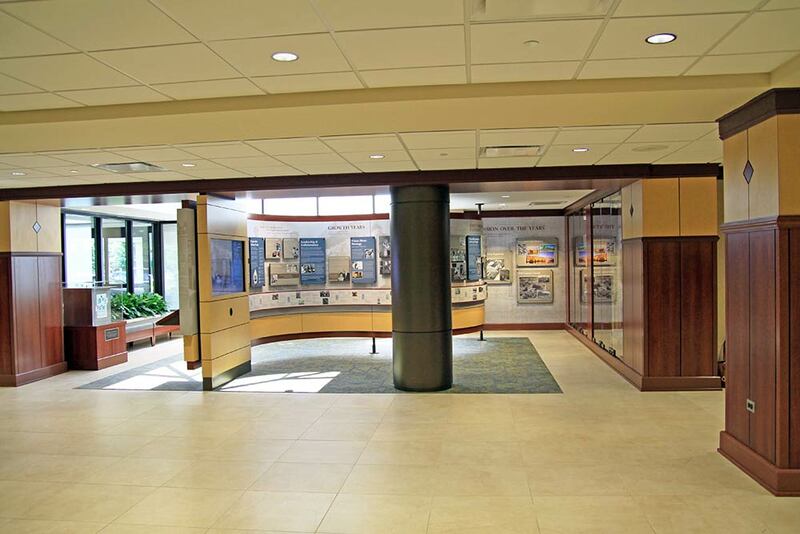 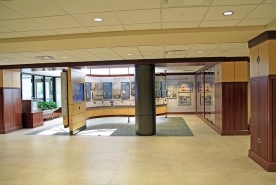 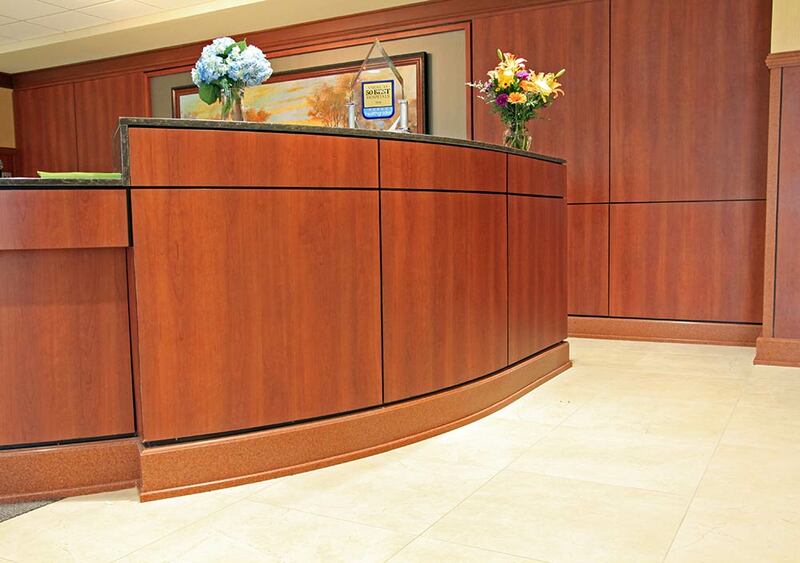 In 2015, Reed Construction completed an 8-phase, 4,500 square foot renovation to the lobby at Ingalls Memorial Hospital. 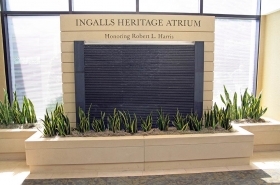 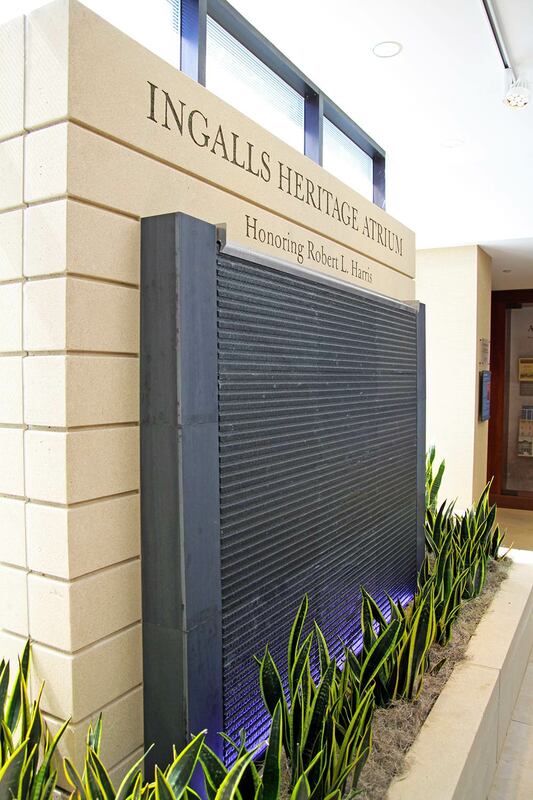 Upgrades were made to the existing space to help create a more comfortable atmosphere and also to celebrate the rich history of Ingalls. 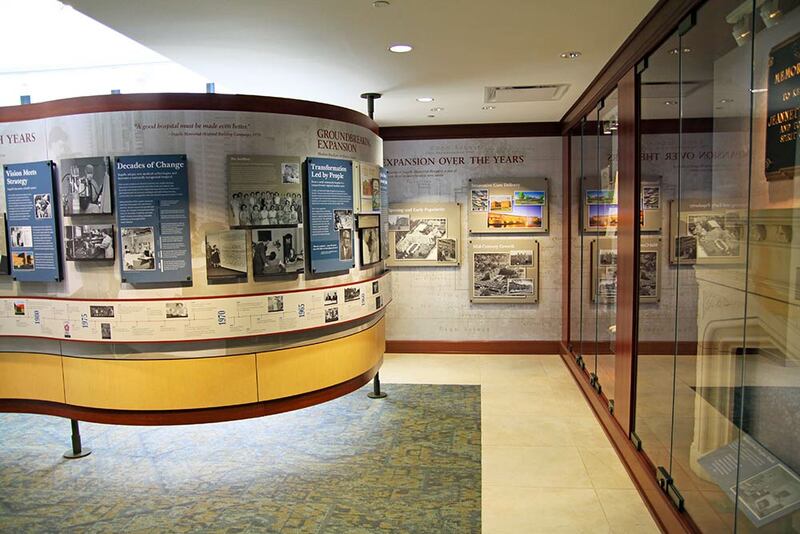 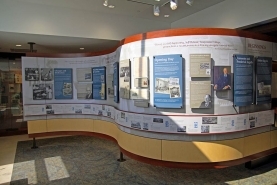 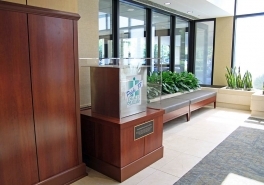 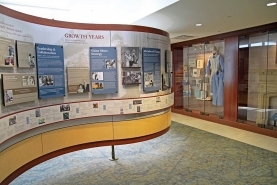 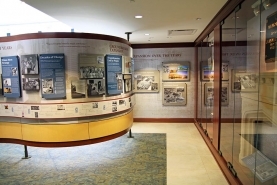 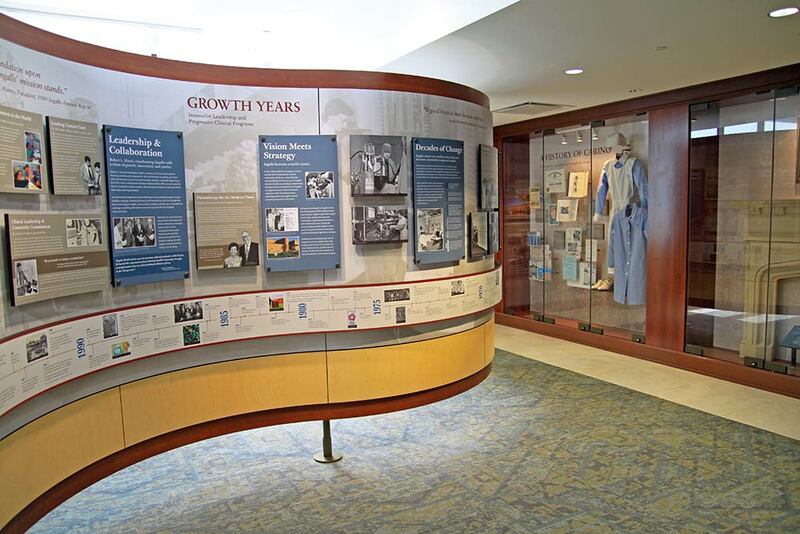 An exhibit adjacent to the lobby features a curved wall showcasing a timeline and photos, while floor-to-ceiling glass cases house artifacts from the hospital’s early days. 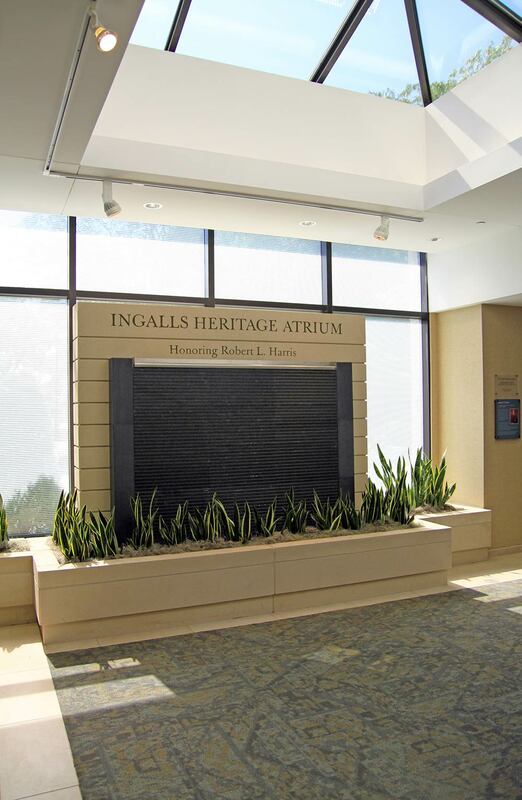 A cast stone water feature wall was also included in the space, as well as a skylight to allow in more natural light. 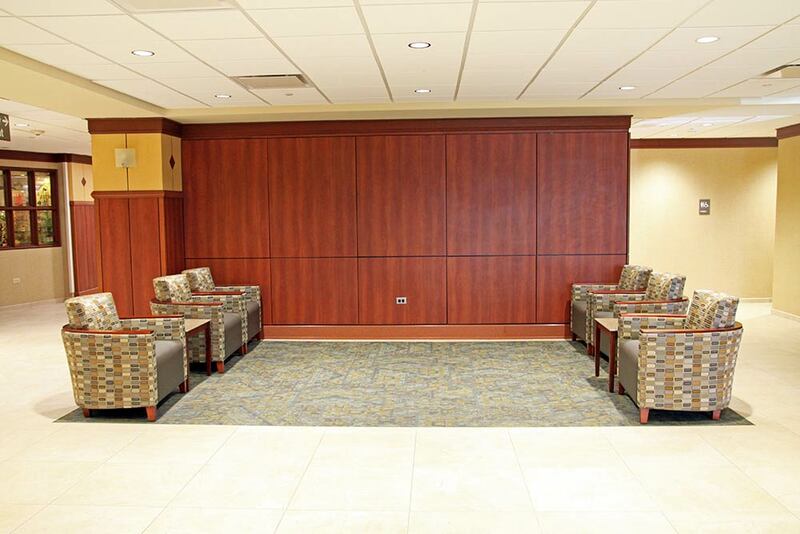 Additional renovations included new restrooms, waiting areas and corridor build-outs.